Army officials identified the shooter at Fort Lee as Sgt. 1st Class Paula M. Walker Wednesday. Walker, 33, was a human resources specialist who had been stationed at the Combined Arms Support Command headquarters building in Fort Lee since December 2011. Following the base's lockdown Monday morning, she was apprehended and turned the weapon on herself. According to the U.S. Army Criminal Investigation Command, she had enlisted in September 2000 and served on active duty for nearly 14 years, serving at Fort Devens, Mass., and Fort Eustis before Fort Lee, as well as a 15-month combat tour in Iraq from 2007 to 2008. She was a decorated soldier, amassing three Army Commendation Medals, four Army Achievement Medals, and other awards. FORT LEE, Va. – The Soldier who died following an incident at the Combined Arms Support Command headquarters building here Monday has been identified as Sgt. 1st Class Paula M. Walker, 33, a human resources specialist stationed here since December 2011. The incident began at approximately 8:45 a.m. when Walker allegedly entered the building, brandished a firearm and then barricaded herself in an office. An alert was sounded across post and occupants of the building either took shelter or evacuated as directed. All access gates on post were closed temporarily. 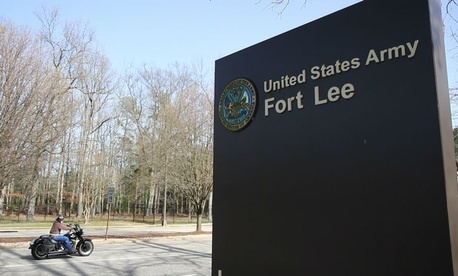 Fort Lee police responded within two minutes of the incident being reported and quickly established contact with the individual. During negotiations, the Soldier reportedly turned the weapon on herself. No other personnel were injured. Walker was transported to Virginia Commonwealth University Medical Center in Richmond where she was pronounced dead at 10:16 a.m.
Walker’s hometown of record is Yonkers, N.Y. She served on active duty for nearly 14 years after enlisting in September 2000. Prior to Fort Lee, Walker served at Fort Devens, Mass., starting in 2010 and Fort Eustis starting in 2006, among other installations. Her career included a 15-month combat tour in Iraq in support of Operation Iraqi Freedom from 2007-2008. Her awards and decorations included three Army Commendation Medals, four Army Achievement Medals, one Joint Meritorious Unit Award and four Army Good Conduct Medals. The U.S. Army Criminal Investigation Command is investigating the incident. Fort Lee officials take this incident very seriously and are fully cooperating with the investigation.